Recap of day 16 in the Celebrity Big Brother house; highlights show Friday 31 August 2012. Housemates awake following yesterday’s face to face nominations. Housemates are gathered on the sofas as Big Brother announces there has been a rule break. The spotlight is on The Situation as housemates are informed that he kept hold of three cards in his hand rather than two during face to face nominations. “You naughty boy,” Julian jokes as The Situation is told that he will not be allowed to nominate for the rest of his time in the house. “That’s a great punishment,” Prince Lorenzo declares, as The Situation defends his actions and informs housemates that he did not stand up with three cards. Martin explains to The Situation that he has been punished as his nominations could have been influenced by other housemates. The Situation confesses: “I don’t like being punished,” as housemates laugh. The Situation is in the diary room. He admits that he broke the rules. He says he kept his three cards because he didn’t know if he could nominate Danica but his heart has got him into trouble. Julian and Prince Lorenzo are in the smoking area. Julian opens up about his childhood and how he was bullied at school for being gay. Julie and Colleen are in the bedroom. Julie says she likes Coleen’s leopard print top. She goes on to say that all the big designers are working in leopard now. Coleen reveals that she also has the matching trousers as part of a lounge suit. Samantha is in the diary room. She describes the atmosphere between Julie and Coleen as “frostily formal”. She claims that both women are wary of each other and has observed that there is “subtle tension” between Coleen and Julie. For today’s task, the male housemates will devise ballet routines and female housemates will judge then. Ashley will be paired with Harvey, Prince Lorenzo will be dancing with The Situation, and Martin will be performing with Julian. Housemates must devise a routine based on a statement said by another housemate during their time in the house. As housemates prepare to perform, the judges take their places. Samantha asks Danica and Coleen: “Would it be offensive if I asked to sit next to Julie?” Danica and Coleen move along the table. Prince Lorenzo and The Situation score 30 points for their performance. Finally it is Martin and Julian’s turn to perform for the judges. They perform to ‘You should have felt the impact of that pie in my f**king face and I would never do that. She nearly knocked my front teeth out.’ Judges award Martin and Julian with 37 points. Julie declares: “That totally blew me away,” as she awards the pair a top 10 mark. With a total of 37, Martin and Julian have won and will therefore join the judges at the “winner’s party” later on that evening. Julian takes to the dance floor with Danica as she attempts to waltz. 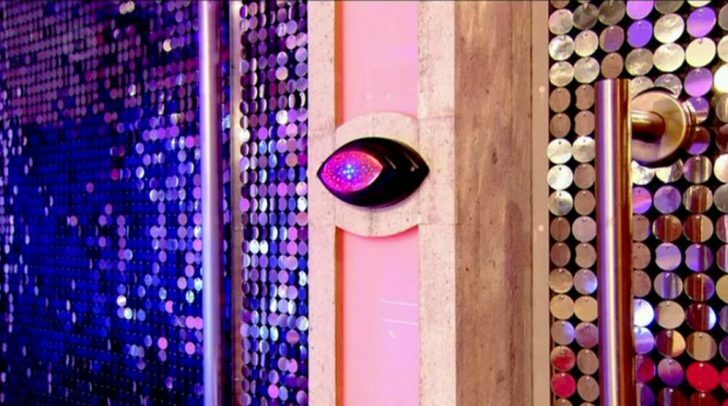 Outside, Ashley jokes that Danica is being “dragged around” the dance floor and inside Julian quips: “It’s like dancing with a shopping trolley!” In the diary room, Julian continues to describe Danica as “a young colt that hasn’t been trained yet” on the dance floor. The Situation is observing his fellow housemates dancing. He is encouraged by Danica to dance and The Situation responds by flexing his pecks in time to the music. Attracting attention from the party-goers, Julie brands his talent as “incredible”. In the garden, Coleen is taking a break from the party. She is assuring Prince Lorenzo that she did not pie Julie in the face forcefully and describes Julie’s comment as “playground”. In the bedroom, Prince Lorenzo is talking to Samantha about Danica. Prince Lorenzo declares that he “enjoys Danica as a housemate”. “Nana you’ve lasted 15 days,” Harvey declares to Julie. Julie confesses that she is shocked that she has lasted so long in the house.